NASHVILLE, TN — Meeting for the first time since being recreated by the state legislature a year ago, the Tennessee State Fair Commission voted Friday that it’s time for the State Fair to search for and “identify” a new site that can accommodate the future growth and goals of the Fair. Since 1906, the Fair has been staged at the Nashville Fairgrounds on acreage that the city is developing now for a new major league soccer stadium and mixed use retail and residential area. While Metro Nashville contends that the area and facilities reserved for the State Fair in the redesign of the city’s Fairgrounds are adequate to host the annual Fair, the State Fair Commission and the Tennessee State Fair Association, the nonprofit responsible for producing the Fair each year, disagree. Much of the discussion in the commission’s meeting last week was centered around challenges the State Fair is facing this year in order to host the Fair at the Nashville Fairgrounds site in September. Commission members and State Fair officials contend that, because of the construction of the major league soccer stadium and surrounding development at the Fairgrounds now underway, there is a great deal of uncertainty with respect to what areas, buildings and amenities will be available for the State Fair’s use in approximately six months. Aiken emphasized that a principle mission of the Fair should always be showcasing the state’s agricultural industry and added that with the plans now set for the Nashville Fairgrounds he didn’t believe that there is “adequate space” to do this now or in the future. Sixth District Congressman John Rose, chairman of the Tennessee State Fair Association and a member of the State Fair Commission, voted in support of the commission’s motion for the Fair to seek a new location. Rose pointed out a number of issues the Fair is facing at the current site because of the ongoing construction and noted that he had concerns as to whether or not a Fair could be produced there this year. Matters involving parking, a location for the carnival and midway, and adequate space and facilities for farm animal and agricultural exhibitions are all issues, according to Rose, that must be considered and resolved in order for the Fair to be staged at the Nashville Fairgrounds in September. 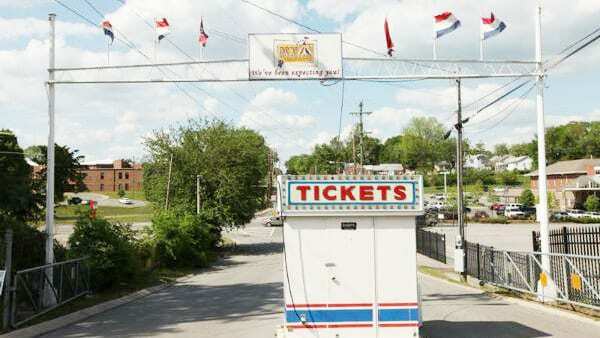 Rose said the TSFA is continuing to move forward with plans for this year’s Fair but added that, if the Nashville Fairgrounds is not deemed useable, a temporary alternate site may have to be found. Commission members urged by a formal motion for the TSFA to pursue producing the 2019 State Fair by whatever means necessary and at a location suitable if the Nashville Fairgrounds cannot be used. 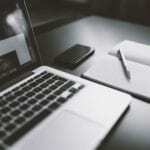 There were no plans discussed for next steps that will be necessary in the process for the commission’s insistence that a new site be found that would suitable to host the Fair. The commission asked recently appointed Tennessee Agriculture Commissioner Charlie Hatcher, who attended the meeting, to convey to the governor its interest in finding a new location for the Fair. The commission’s membership includes the president of the Tennessee Farm Bureau, Aiken; Dean of the University of Tennessee Agricultural Extension Program, Dr. Robert Burns; the Tennessee Future Farmers of America State Advisor, Steven Gass; Tennessee Association of Fairs Executive Director; Emily Pitcock; and chairman of the Tennessee State Fair Association, Rose. At last week’s meeting Burns was elected chairman of the commission; Gass, vice chairman; and Boyd Barker, who is not a commission member but a public affairs officer with the state department of agriculture, was appointed secretary. The first Tennessee State Fair was held in 1855 on a parcel in north Nashville and moved to its current location in 1906 where it has been held annually except for four years during World War II.